Two deaf students have enrolled in one of our short courses and have asked for an interpreter. Where do we start? That’s the scenario deafConnectEd was able to meet with one small registered training provider recently. They wanted to make their course accessible to the students but didn’t have the necessary networks or experience. Through our Central Auslan Booking Service (CABS), we were able to confirm their requirements and book an appropriately skilled interpreter. The students loved the course and the trainers were relieved that they could do what they do best and leave the interpreting to an expert. You or your staff can call us if you have any questions. We have a wealth of experience on issues relating to deafness and hearing loss. We can therefore offer practical suggestions for reasonable adjustment in the training room and information about support services such as Auslan interpreters and notetakers. Teachers and trainers who have not had a student who is deaf or hard of hearing in the classroom may feel unprepared. Our professional development sessions provide your staff with the opportunity to ask questions, clarify expectations and develop practical skills for an inclusive learning environment. Training sessions are offered at no cost and are tailored to your needs and delivered on site to minimise unnecessary time away from the workplace. We can help your disability or student support staff with information about the employment of Auslan interpreters and notetakers for students who are deaf or hard of hearing. Bookings for interpreters can simply be emailed to us. There are no administration fees for booking interpreters through CABS, keeping your interpreting costs to a minimum. deafConnectEd commenced a collegiate dialogue in late 2012 with ACPET to strategically support us to build understanding of and alliances with the private VET sector. A key aspect of discussions between ACPET and deafConnectEd in the context of this strategic focus has been the importance of awareness raising about the private VET sector: its characteristics, diversity and offerings. 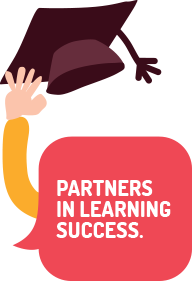 ACPET (in partnership with the National Disability Coordination program) recently created a resource to assist small to medium providers of education and training in supporting students with a disability. For further details, see the ACPET-NDCO resource booklet. ADCET supports the work of disability practitioners and teachers by providing post-secondary education, training and employment information and resources for people with disability or ongoing medical conditions. You can also subscribe to their newsletter. The NDIS is expected to provide additional opportunities for supporting students with a disability. Although full details are yet to be announced, a fact sheet provides a general overview of the support the NDIS will provide in relation to higher education and vocational training. Formulated by the Attorney-General under the Disability Discrimination Act 1992 (DDA), The Education Standards provide a framework to ensure that students with disability are able to access and participate in education on the same basis as other students. The Education Standards do this by providing clarity and specificity for education and training providers and for students with disability. This site was designed to help users understand important parts of the DDA Education Standards. Whether a person with a disability, an associate of a person with a disability, or a person involved in the delivery of education, this website is aimed at improving understanding of important parts of the DDA Education Standards. It does not cover the full detail of the DDA Education Standards but it does highlight the more important issues relating to the Standards. The Department of Education provides some additional information about the Disability Standards for Education and recent reviews.